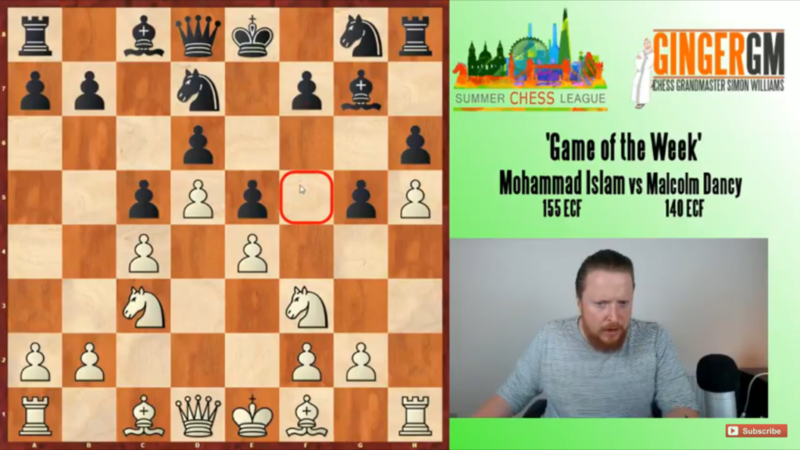 After every set of fixtures, the team captains from all the clubs involved have a chess-based conclave to decide which performance warrants the “Game of the Week” moniker. The white smoke this time went up in favour of an enthralling battle between Mo Islam (East London Knights) and Malcolm Dancy (Battersea), featuring a hard-fought positional struggle, a number of winning chances and ever-changing initiative, plus some strategic mistakes for both players. There’s also a shout-out for Hammer’s only victor of the round – with a Performance of the Week – young Nadhmi. Check it out! Thanks to all involved for the video, and well done to the above mentioned players! Superb analysis. These videos are great. Next Next post: C4, D4, or E4… that is the Question?